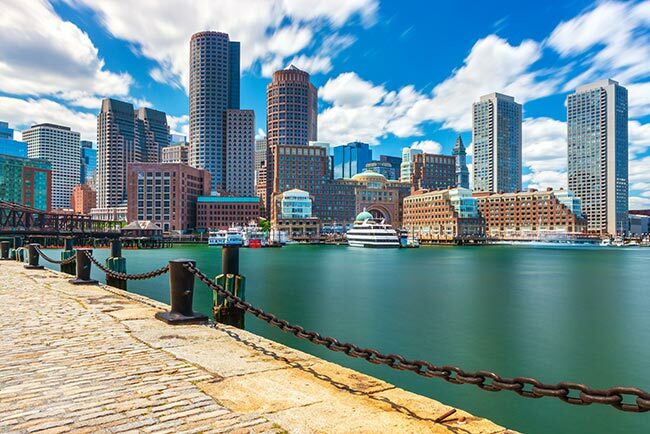 From the days of the American Revolution right up to the present, Boston has led the entire country toward new achievements and opportunities. The city continues this tradition in the modern era, helping the United States make new strides in technology and business. Notably, Boston has become a center for the creation of self-driving cars, which have the potential to improve transportation and reduce roadside fatalities dramatically. ExpeditedFreight.com makes sure that the city has all the supplies it needs to continue with these and other cutting-edge activities, so that Boston can stay at the forefront of America's ongoing technological revolution. Self-driving cars are good business, but they also create a host of logistical challenges. For Boston’s companies to continue researching and producing these vehicles, they need to obtain precise, quality supplies from distant corners of the country. This means those supplies must be shipped in on tight schedules without being damaged along the way. 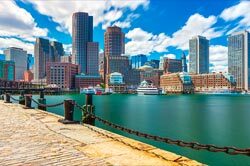 But this is hard to do, especially given that carriers need to share the road with suppliers for other companies and with the nearly 5 million people who live in the Boston metropolitan area. Only through careful planning and committed service can Boston’s self-driving car companies continue to get the items they need. ExpeditedFreight.com has a proven track record of care, commitment, and planning. We offer rapid deliveries both into and out of Boston, serving self-driving car companies and all other businesses in the area. We also deliver into and out of other communities in the Boston area, including Brockton, Franklin, Lowell, Waltham, Quincy, and Worcester. With our help, no business in the region ever has to worry about getting quality parts on time. We compare as many alternative routes as possible, taking into account not only the length of each route, but the quality of the roads, the likelihood of congestion, and weather forecasts in the area. As a result, the risk of delay or disruption is minimized, so we can get your items to you at top speed. This has the added benefit of reducing risk to your inventory, as it lets us avoid the bumpiest and most treacherous roads. To further reduce risk, ExpeditedFreight.com invests in advanced storage equipment, which protects your items while they are on the way to or from Boston. We also require our drivers to work in teams of two and to take turns sleeping, so that each has enough rest to work safely throughout the journey. Finally, we track our trucks from a centralized location and guide them around any new risks that arise, so that even the biggest surprises don’t cause damage or delays. Whether you’re currently using our services or thinking about doing so in the future, the ExpeditedFreight.com customer support team is always available to answer your questions. For more information or to get a free quote on the cost of our services, give us a call at (617) 934-7800 or take a look at ExpeditedFreight.com today.